Serving the Meeker area and Western Slope for over 15 years. Cherry Creek Mortgage was built on a strong foundation in 1987. 1) Committed to honesty and Integrity in all our activities. 4) Committed to profitable growth. 5) Focused on managing risk. 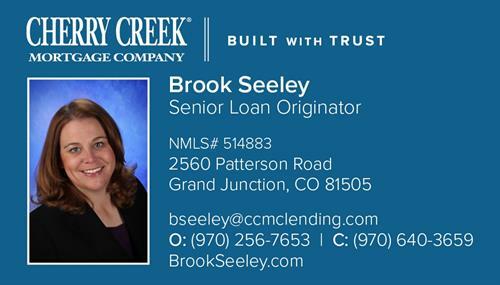 Brook Seeley has been in the business for over 15 years gaining knowledge and expertise to help put you at ease throughout the mortgage process. 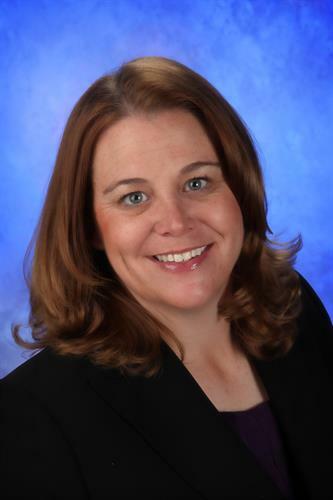 Her diverse experience in the mortgage industry allows her to better assist her clients and ensure a smooth process from origination through closing. Whether purchasing your first home, investing in Real Estate, or refinancing a home; she will make certain to provide all options to help you choose the best solution for your unique situation. Product knowledge and customer service are her number on priority.